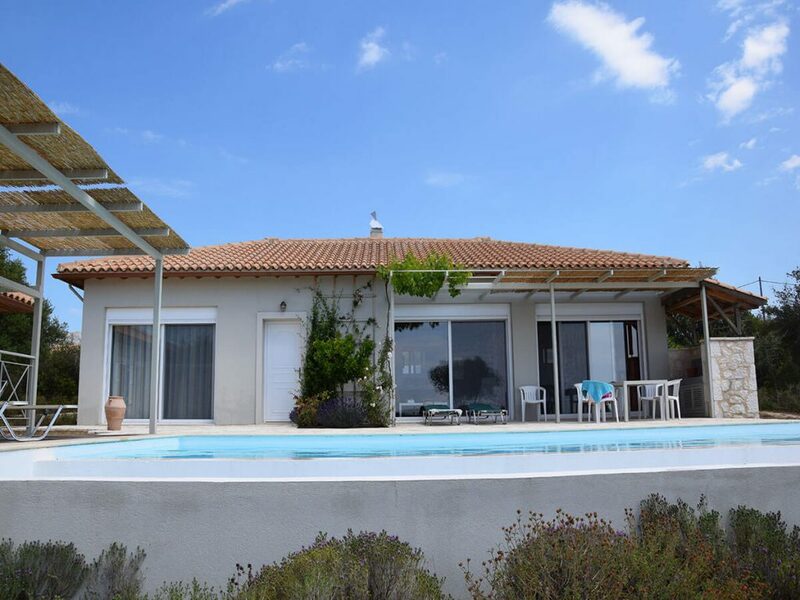 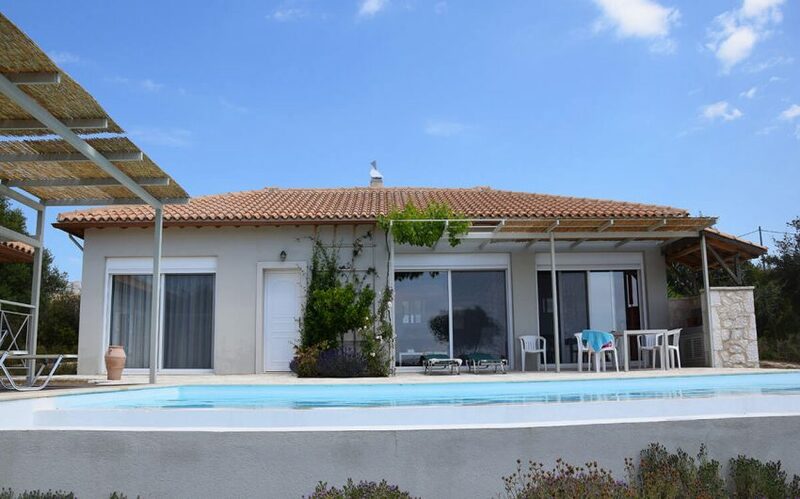 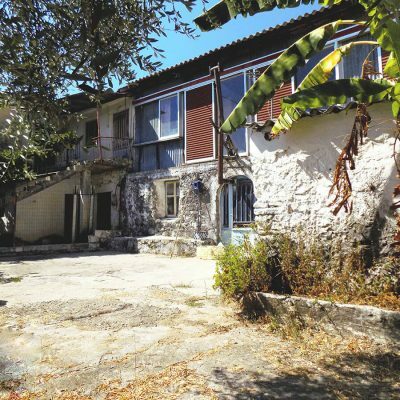 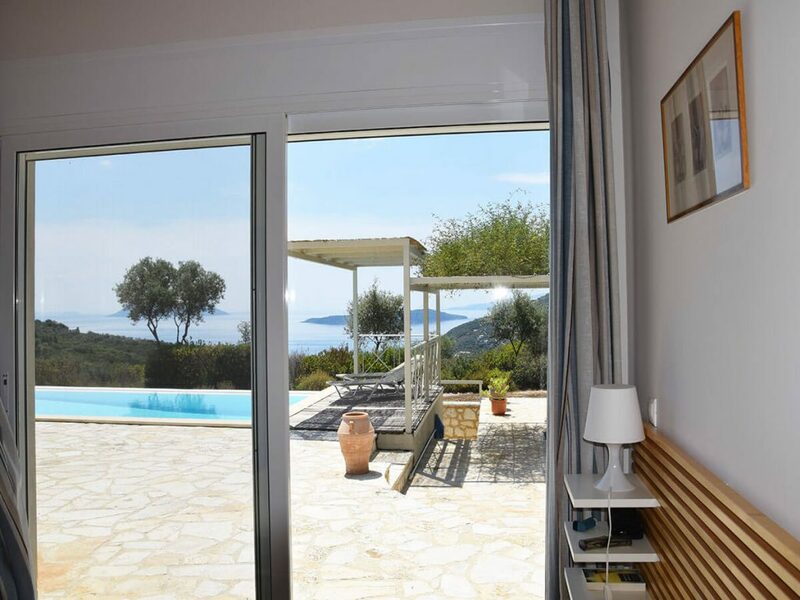 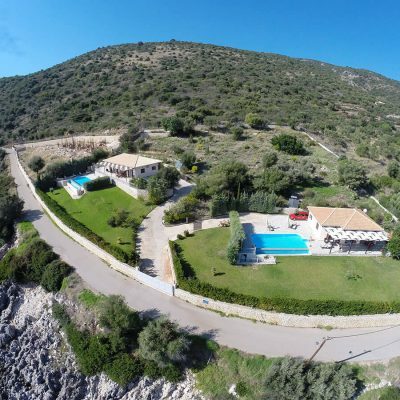 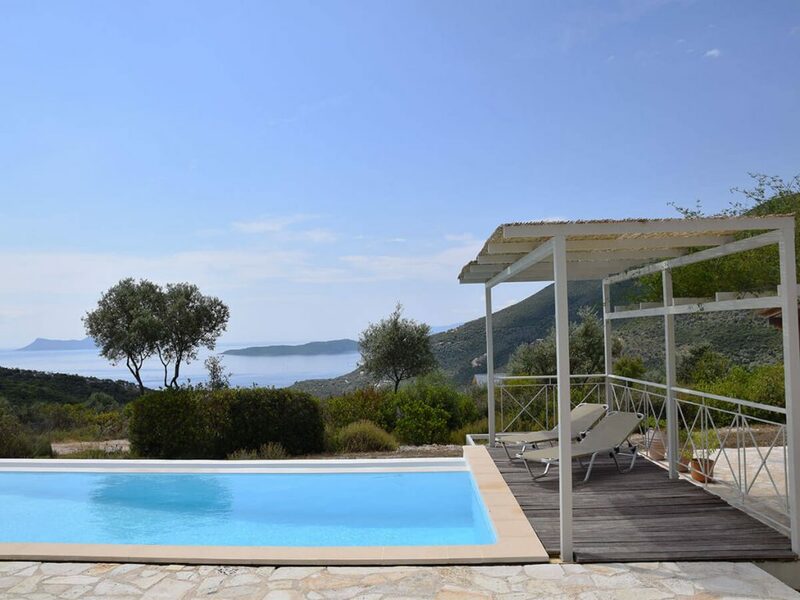 For sale luxurious villa with guesthouse, swimming pool and panoramic view in Sivota, Lefkada. 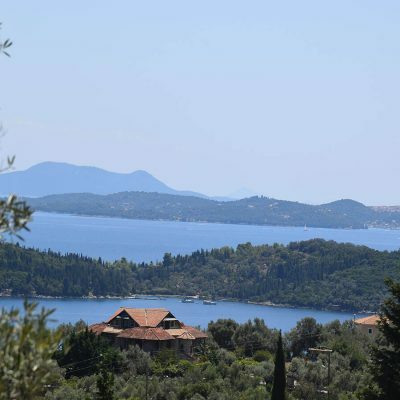 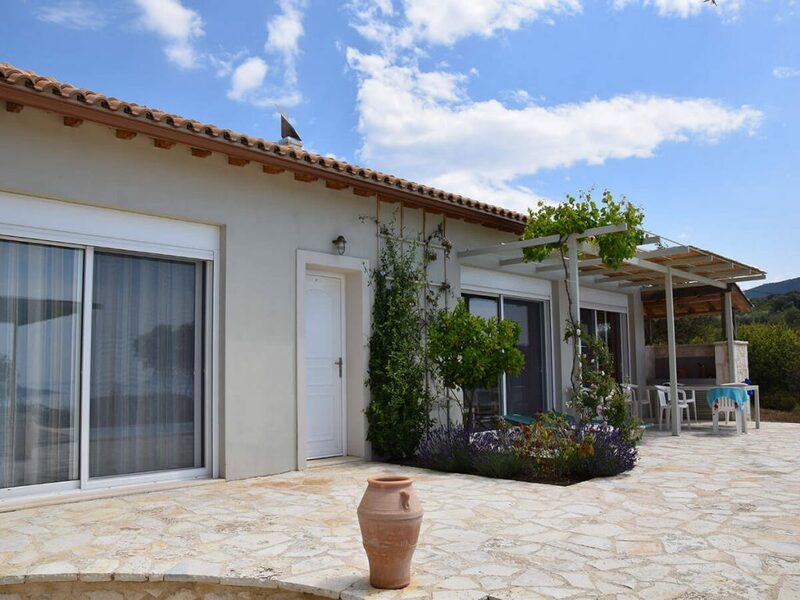 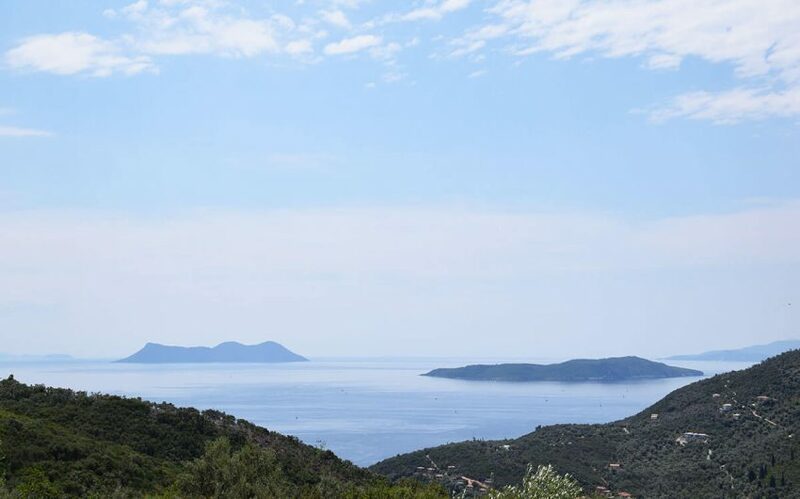 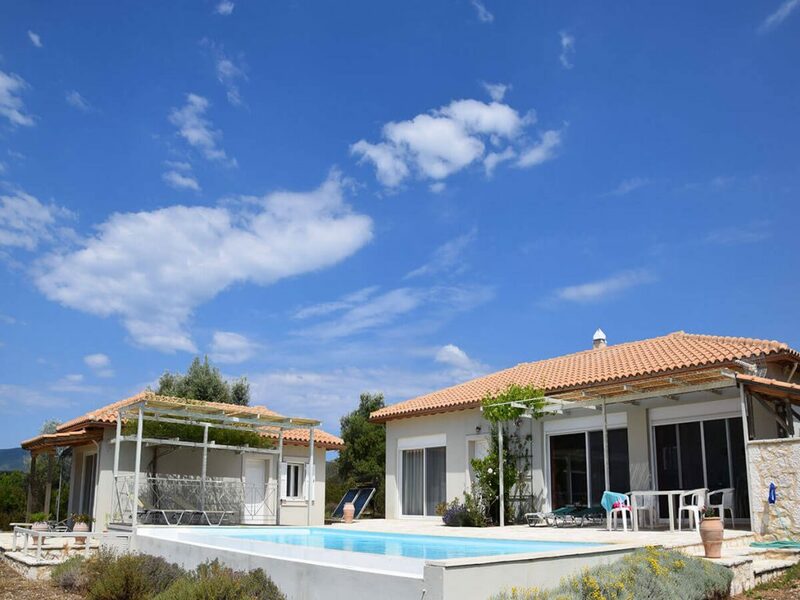 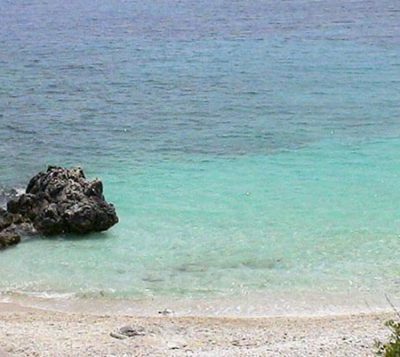 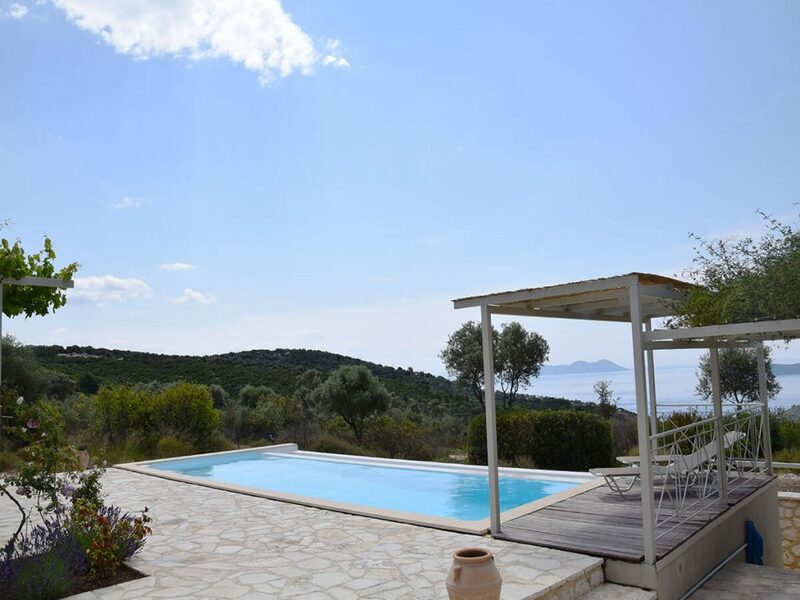 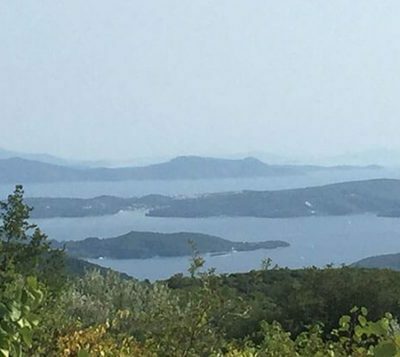 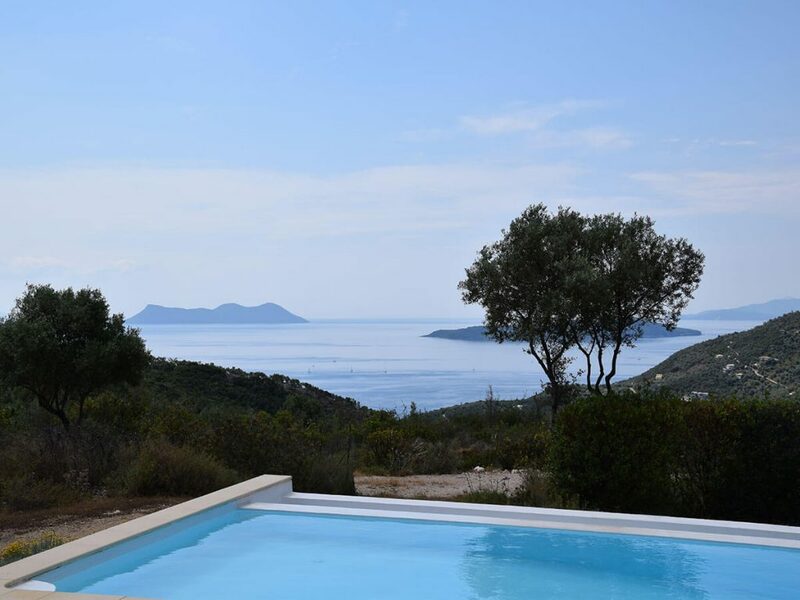 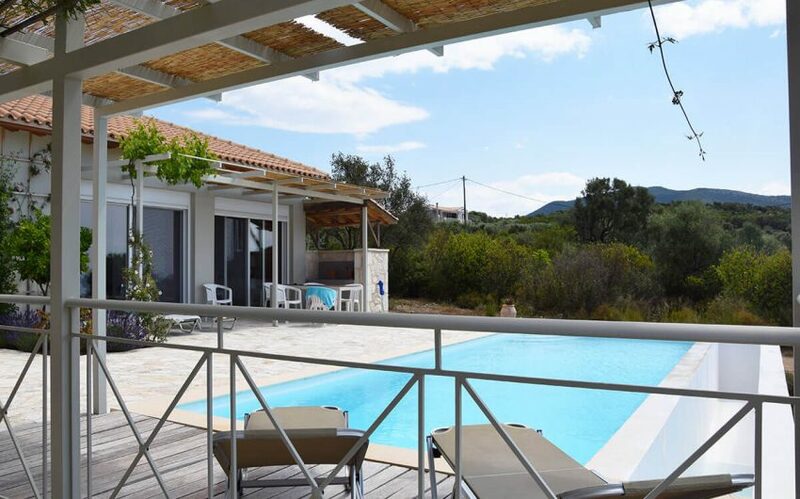 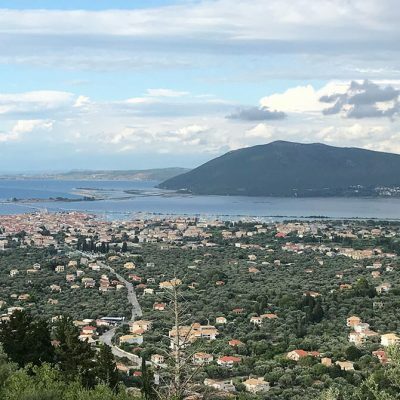 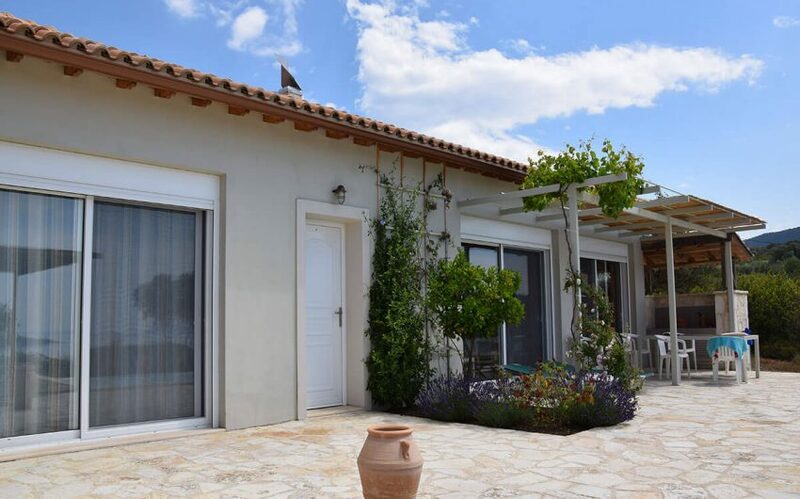 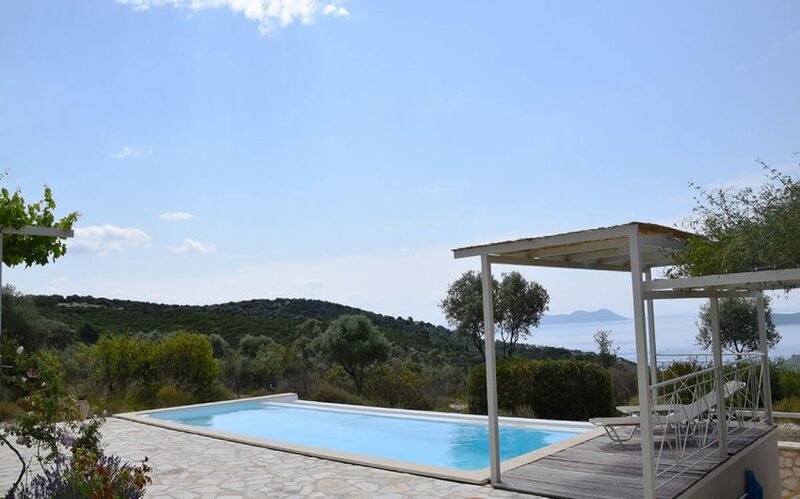 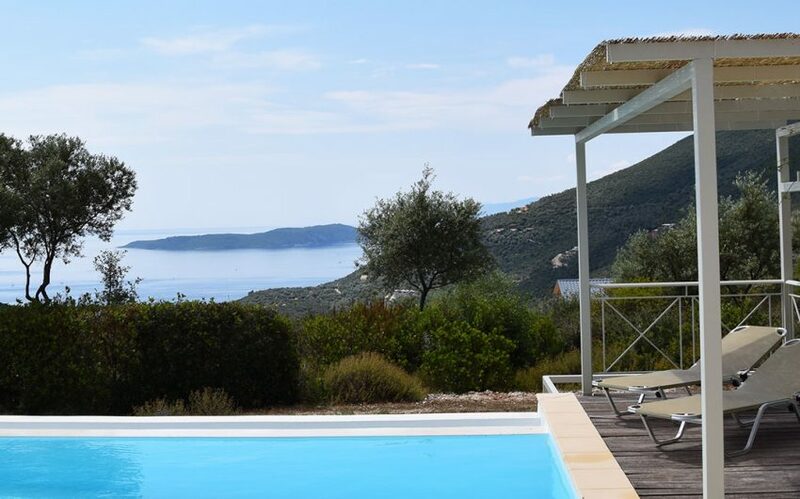 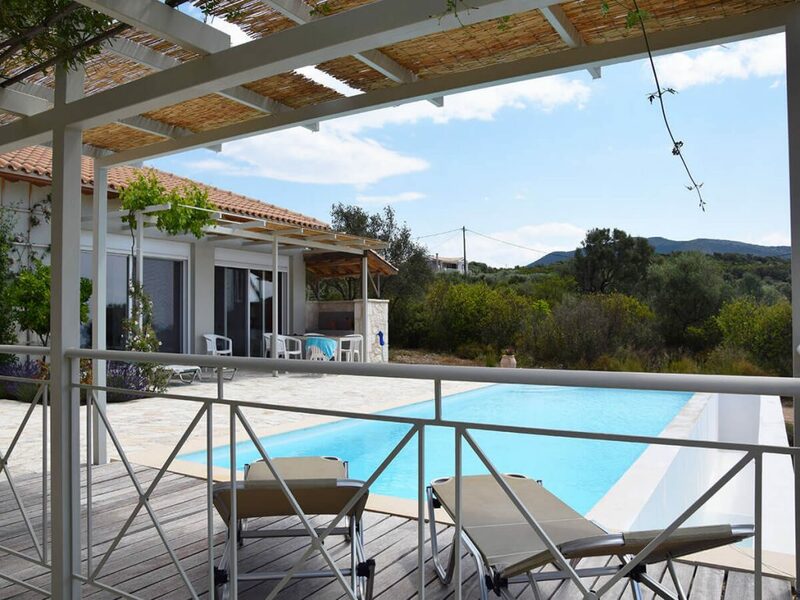 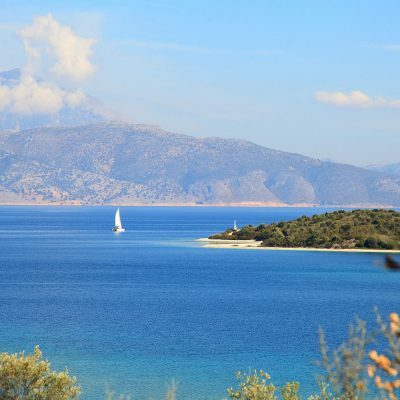 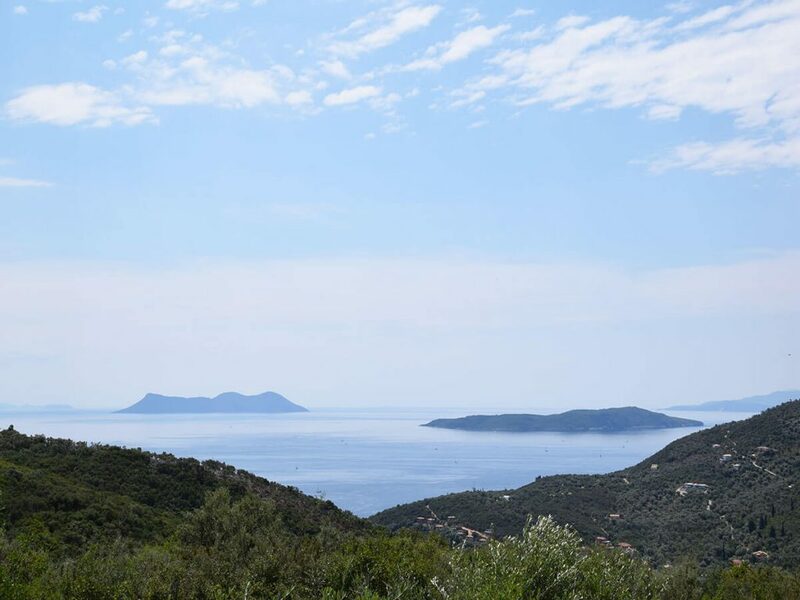 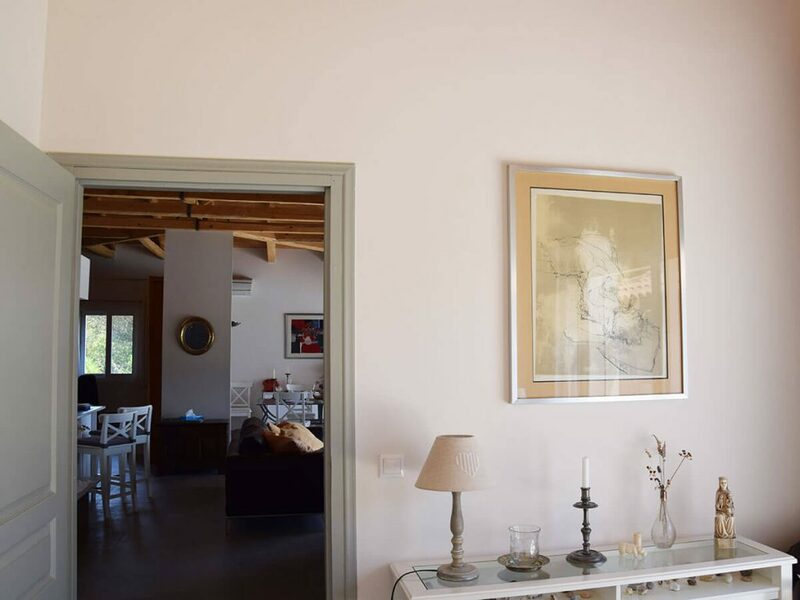 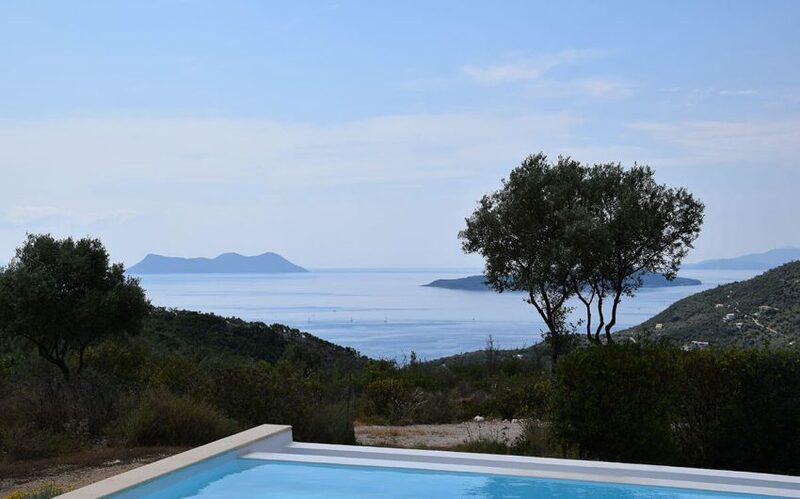 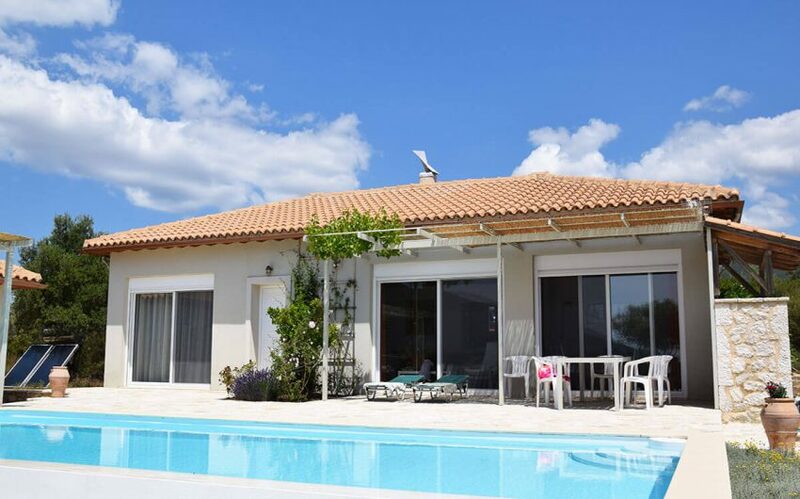 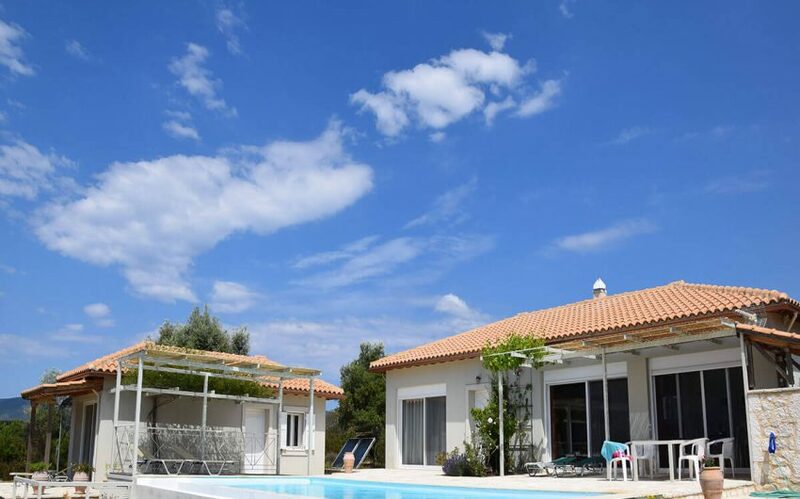 In Sivota village, at the southern part of Lefkada Island, a luxurious villa with an independent guesthouse, a swimming pool and panoramic unobstructed sea view, is available for sale. 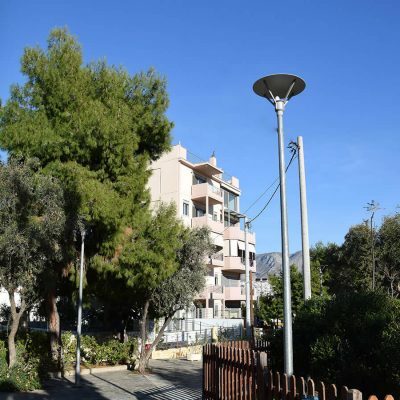 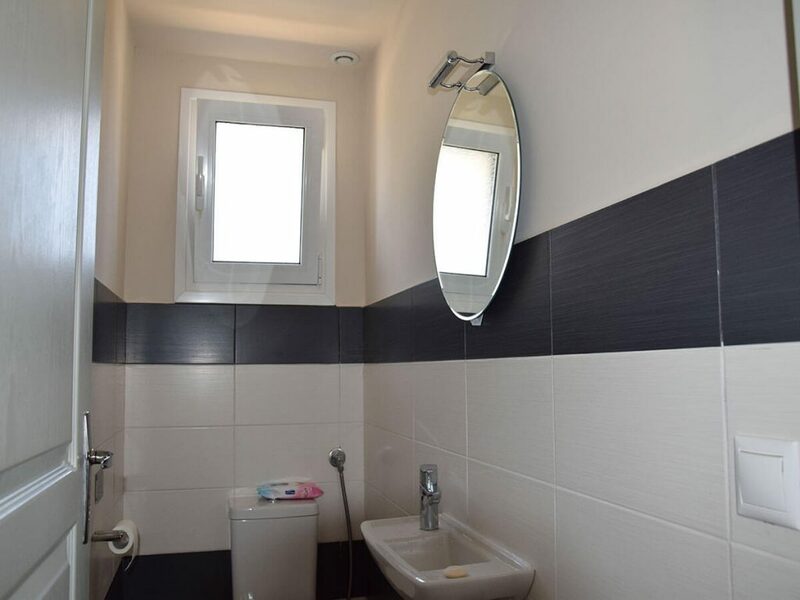 This flat property is fully fenced and located in a very quiet area. 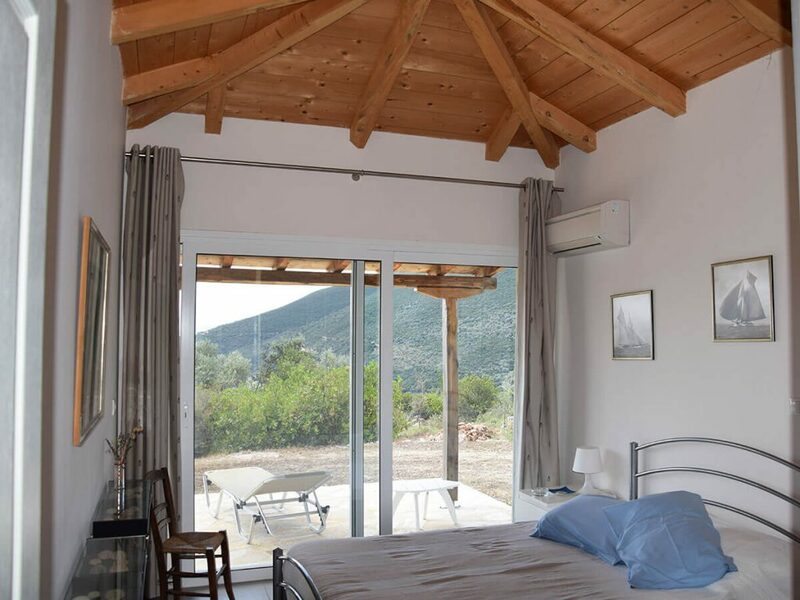 Both main villa and guest house are modern, fully equipped and very functional. 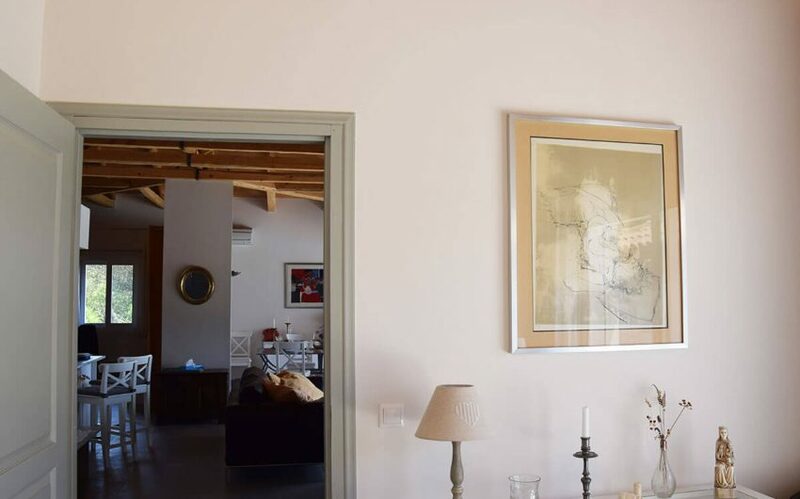 The main villa 100 m2 includes 2 bedrooms, an open plan living room – kitchen, a bathroom, a guest WC and a comfortable study. 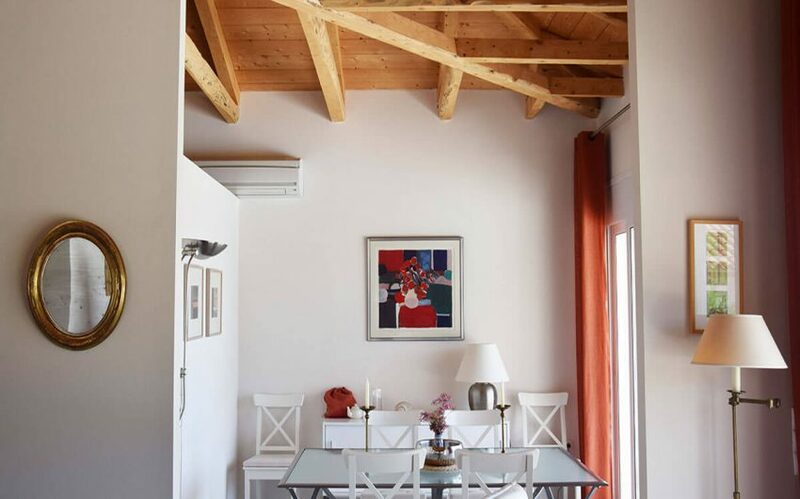 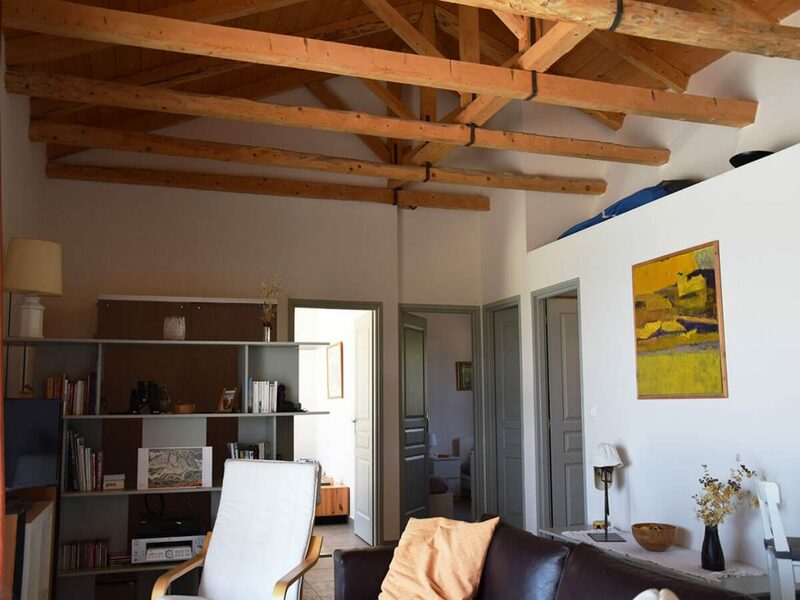 The simple lines of the house design and the exposed wood beam ceiling, combined with the wonderful view from every spot of the house, offer a relaxed holiday’s atmosphere. 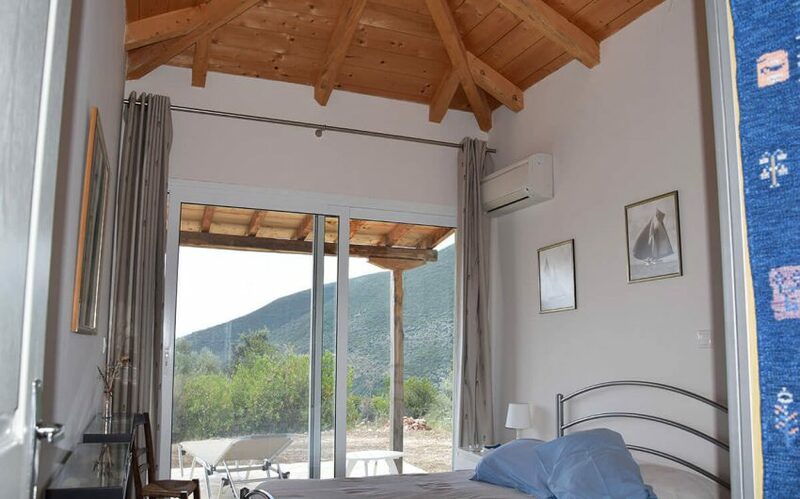 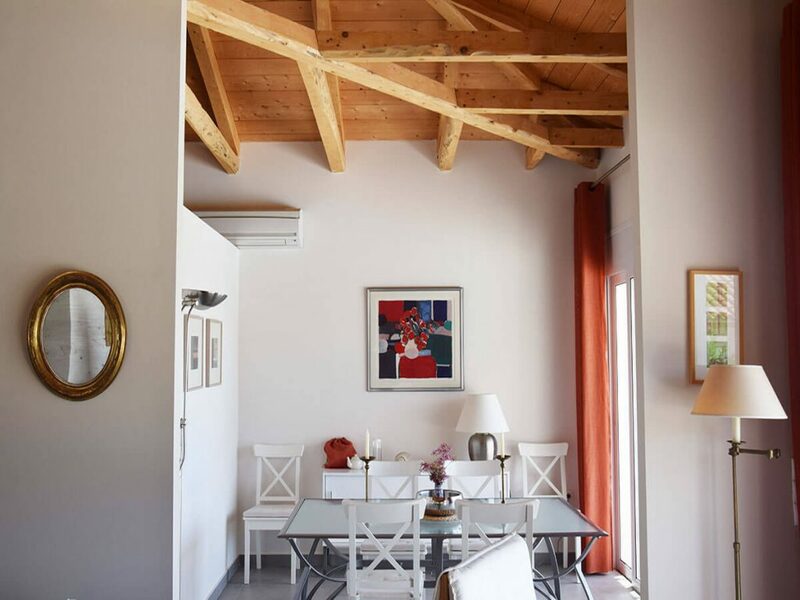 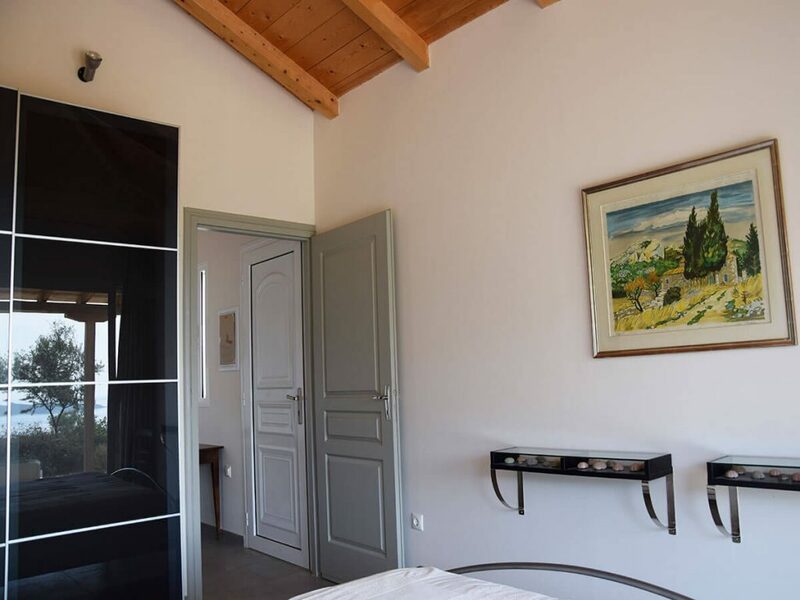 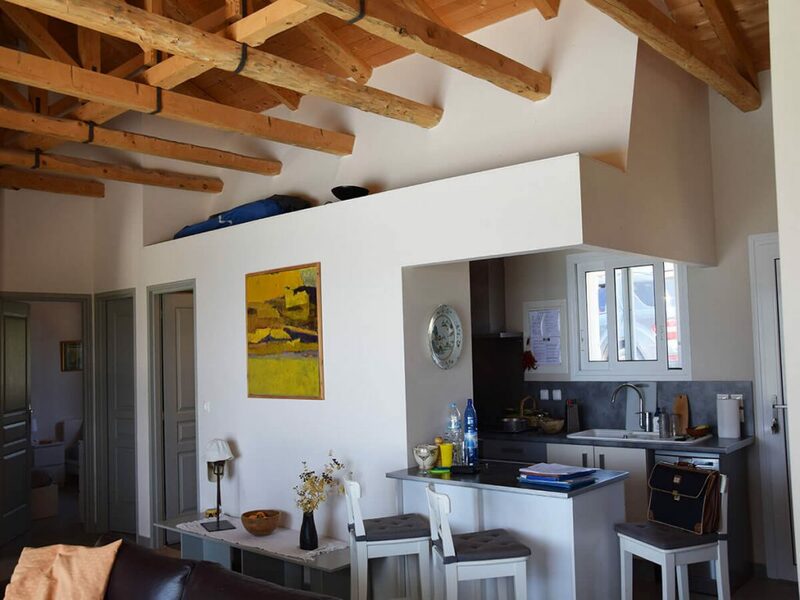 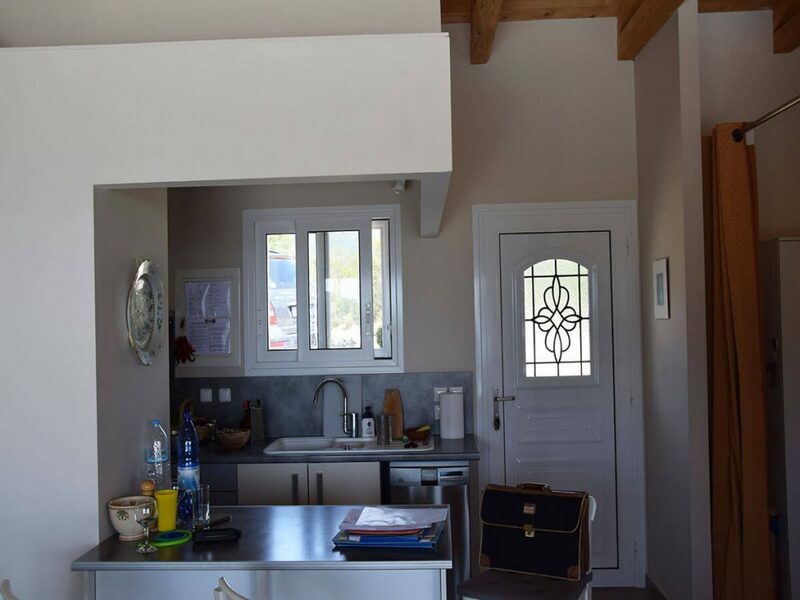 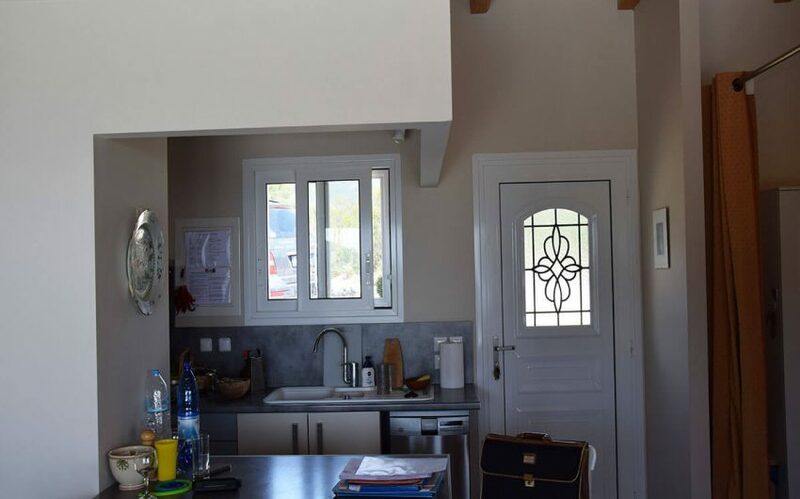 A magnificent and fully equipped guesthouse completes the property in the best possible way, allowing friends or clients to live in the same area, and at the same time with complete independence. 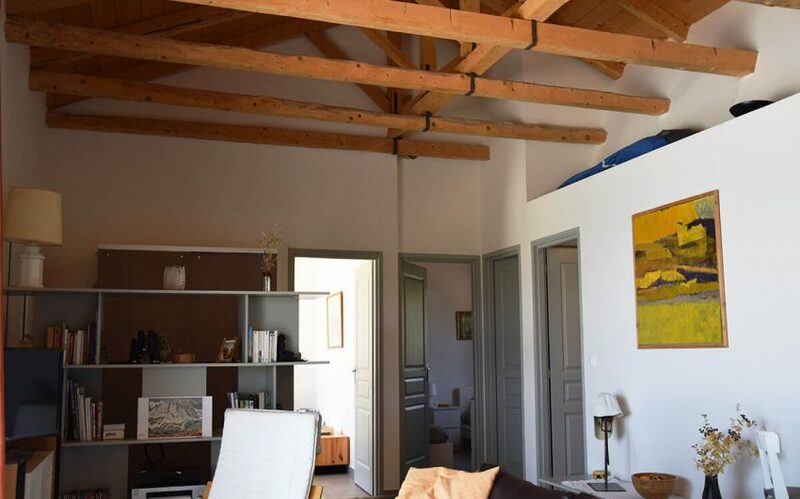 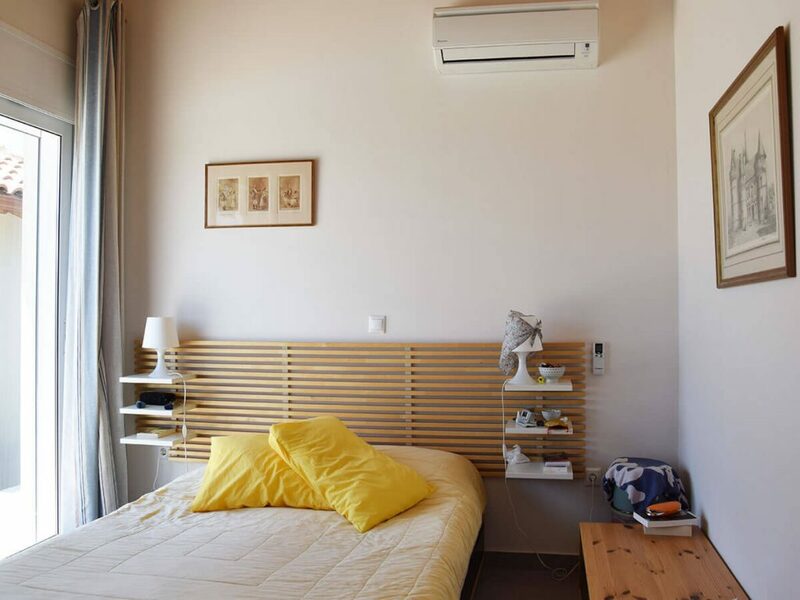 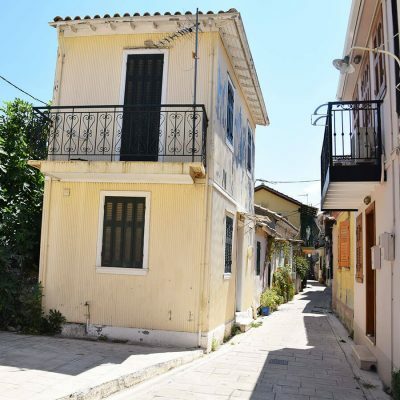 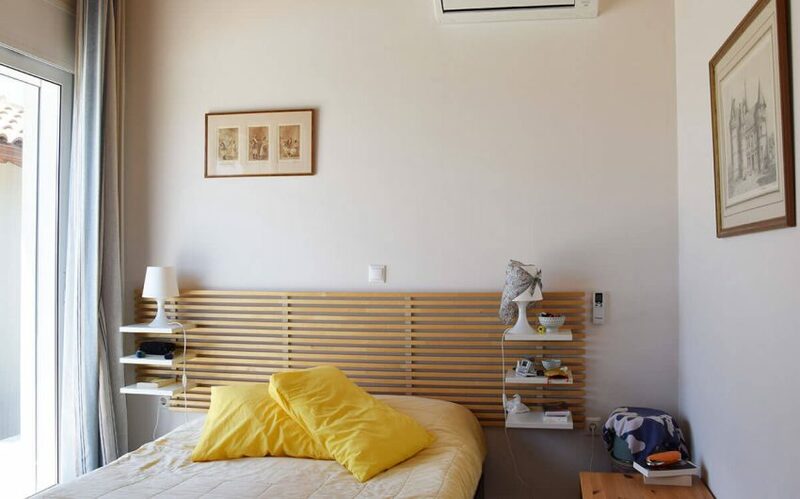 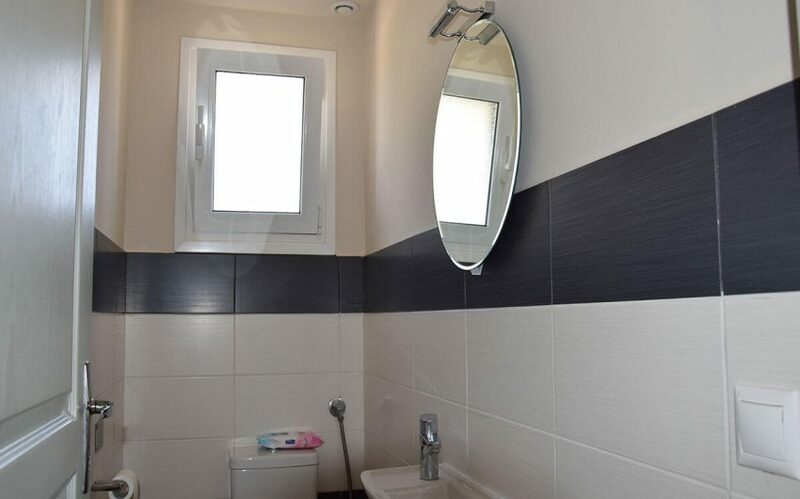 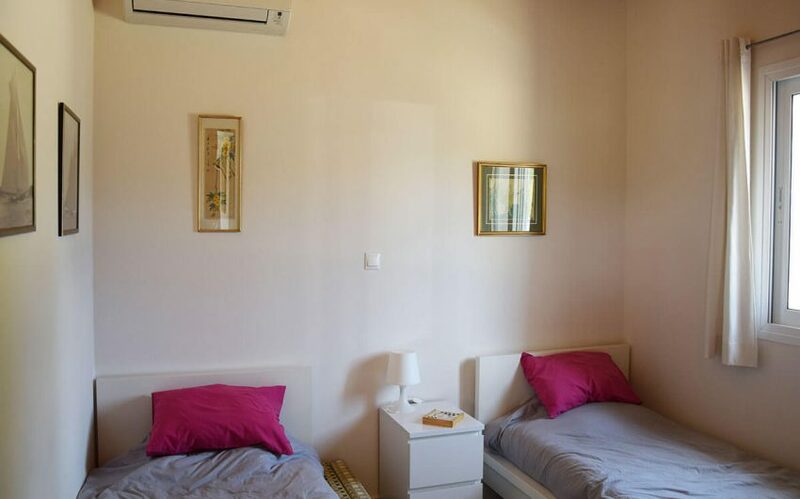 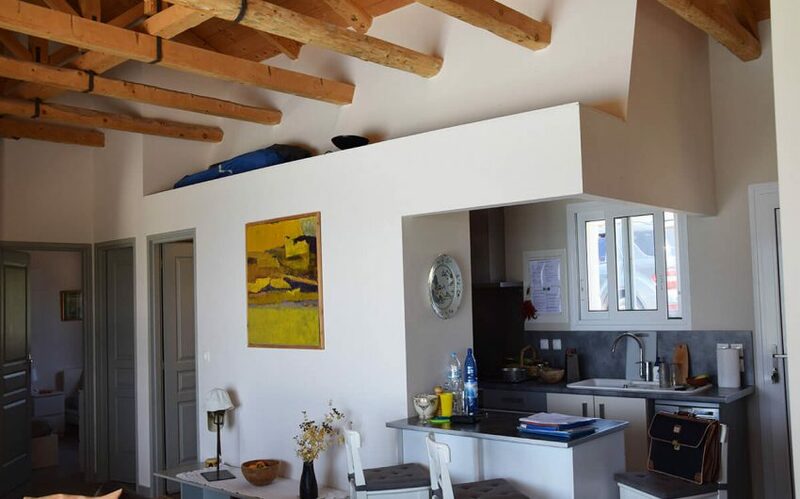 This additional building of 30 m² has 1 comfortable bedroom and a shower bathroom. 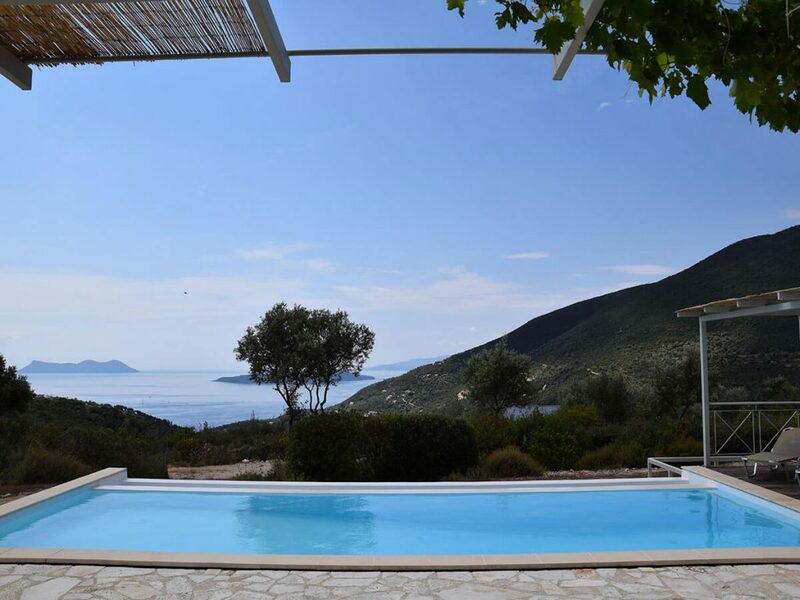 The large swimming pool gives direct access to both houses, offering moments of relaxation and enjoyment to owners and guests. 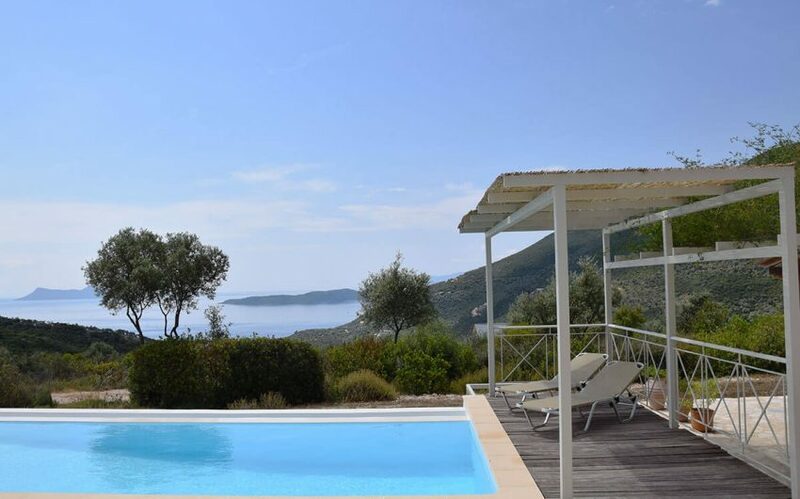 The terraces of the houses are covered with pergolas, and are adorned with traditional grapes, while offering shade and enjoyment of the outdoor environment and the magnificent view to the clear blue waters of the Ionian Sea. 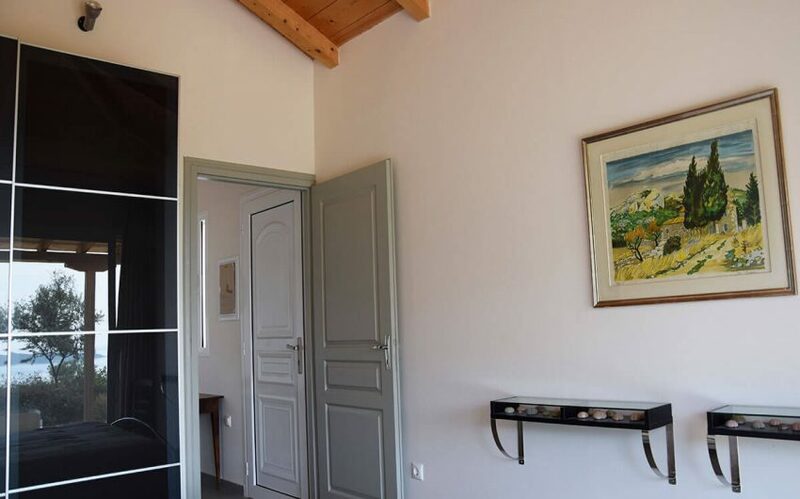 The surrounding space is well-designed with quality stone, while corridors cover all parking and access needs. 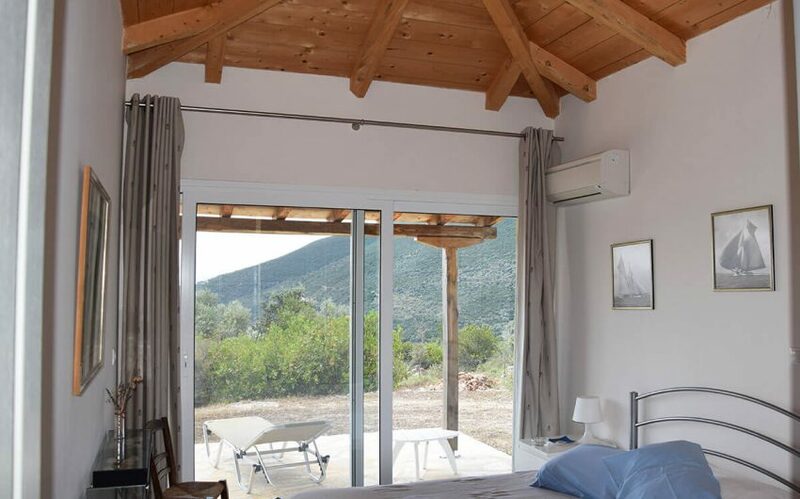 These houses can also be used during the winter season, since doors and windows are installed from solid aluminum frames, while at the same time important construction details are also provided for winter stays. 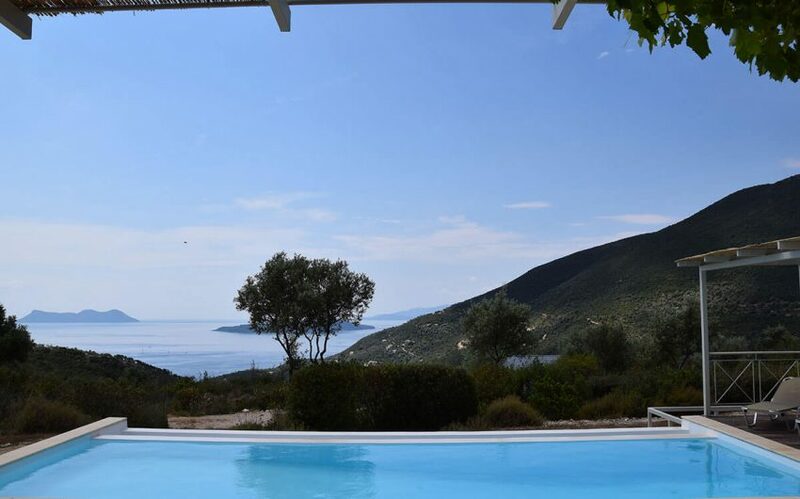 The villa blends harmoniously with the lush green slopes of the mountains and from this point the blue of the sky mixes with the blue of the sea giving an infinity sensation. 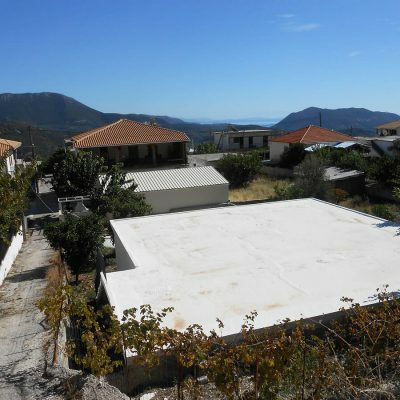 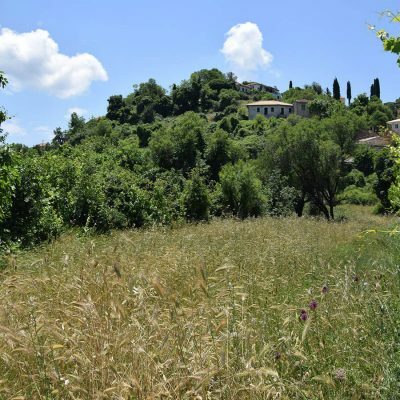 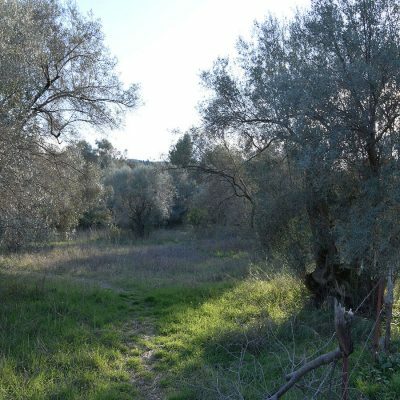 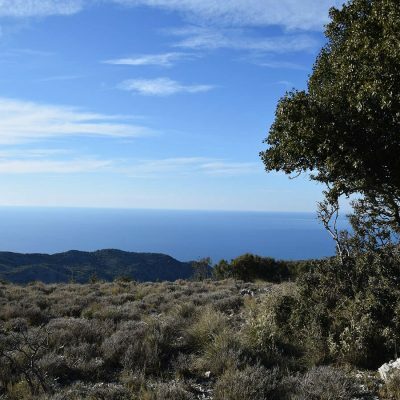 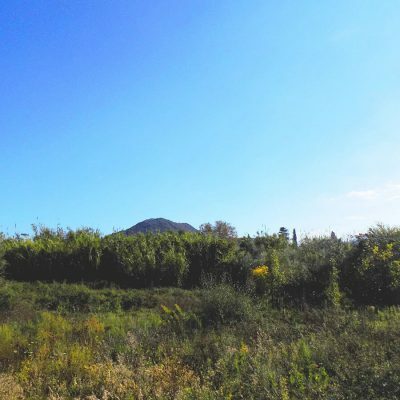 Finally there is possibility of an investment extension with the purchase of an attached agricultural plot. 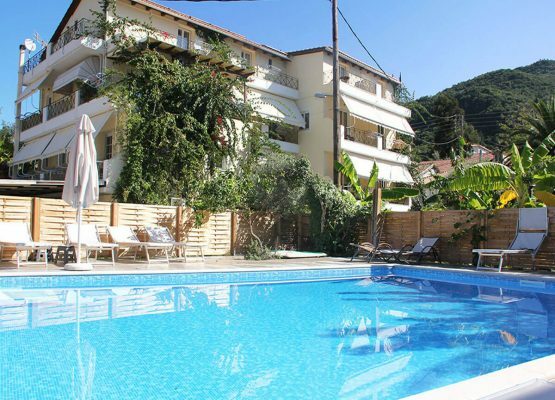 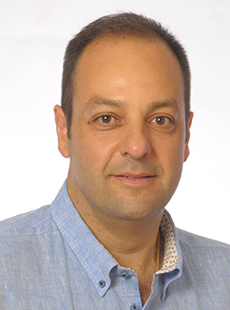 Generally it is a valuable investment for the vacations of your family or your clients. 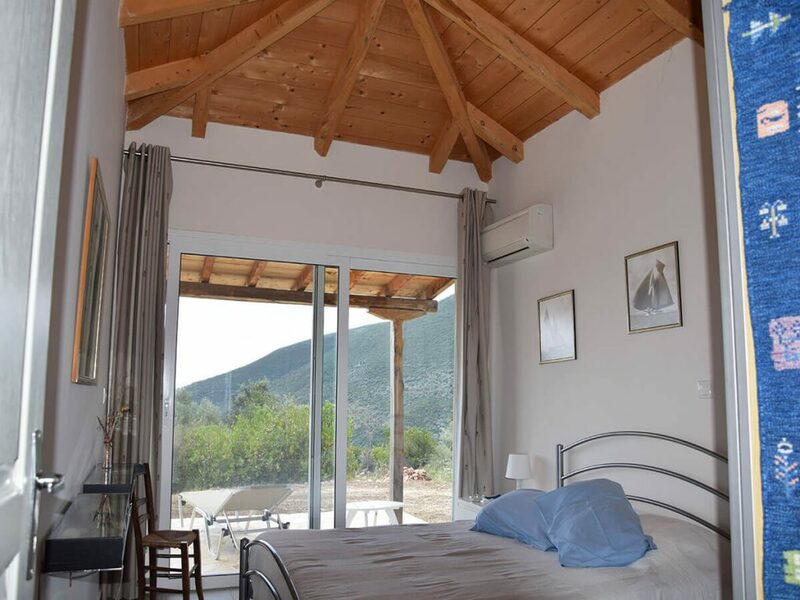 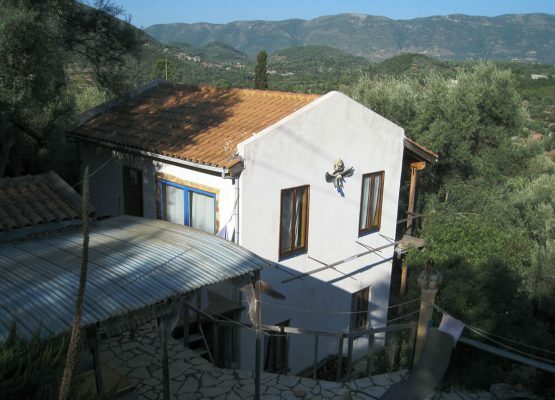 Wonderful house in Marantochori, Lefkada.